UNIX group established in the year 2009, we at Unix Stitch Machines Private Limited, are Gujarat based organization engaged in manufacturing, supplying and importing of a comprehensive range of embroidery machines. We are considered as one of the leading organization engaged in the textile and apparel industry. We have been associated with the leading groups of textile industries. We have also formed the structure of pluralistic technology, systematic product lines, and sales networks and has established a good platform for Embroidery Machine, Schiffli Embroidery Machine,Chenille Embroidery Machine, Digital Sublimation Textile Printing Machine, Rhinestone Fixing Machine, Single Head Pearl Attaching Machine, Electric Fusing Machine, value-added machines and finish works machines. Our organization strives hard to provide high-technology and intelligent properties mainly in 6 segments, 27 series and more than 100 different sorts of products. With the main aim of reforming and promoting the textile industries by means of the application of high-technologies and advanced practical techniques. Our entire endeavors are directed towards establishing a technological entity to offer total solutions based on customer’s more flexible demands as the chief objective. 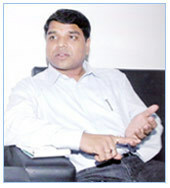 We are headed by our mentor Mr. Sanjay Jha who hold profound industry experience under his belt. Owing to his support and help, we have been able to gain a commendable position in the market. Meticulous efforts made by our team and supervision of our mentor have helped us in growing in leaps and bounds. “UNIX Stitch machines Pvt. Ltd. is a young dynamic enterprise, our objective is “leading technology trends, creating elaborate products” and our management philosophy is “Client First, Harmony Pursuit”. “Satisfactory Service, Common Development” is our service philosophy. Based on our continuous innovated Enterprise management mode, we will devote ourselves to the development and innovation of high-tech new textile productions, offering an overall service forever! I firmly believe that: As long as all of our UNIX staff work hardly, struggle bravely in the face of challenge, certainly can we make our UNIX to be a top-class innovative enterprises, to make UNIX to be a famous brand. Looking to the future, We are full of hope and confidence for our future. Backed by a proficient team, we are one of the most trusted manufacturers, suppliers and exporters of Textile and Embroidery Machines in India. Our workforce comprises experienced and knowledgeable engineers and technicians who possess the skill to handle and operate the fabrication machinery in an efficient manner. We also have a diligent team of R&D professionals who help us in the up-gradation of the technology used for production, and improvement of the quality of our products as well. With the aid of our creative designers, we are able to design the machines that have high functionality, and are capable of meeting the bulk requirements of the textile industry. For maintaining the superiority of our products, we are supported by a team of quality controllers who are responsible for conducting a series of tests on the procured material and the end products. The quality measures adopted by them strictly adheres to the norms and policies laid down as per the international industry standards. Other members who help in the success and growth of our organization include warehouse supervisors, packaging experts, loading/unloading staff, logistics staff, and sales & marketing executives. The entire team works in close co-ordination with each other to accelerate the production of a flawless range of machines. Textile manufacturing is a 67 billion dollar a year industry that offers entrepreneurs an enormous amount of opportunities.Everyone is looking for a real start-up business opportunity. Starting an embroidery business has all the key ingredients that many people are looking for including, creativity, working from home, ability to work in any niche, huge profit potential and setting your own schedule. The embroidery industry (decorated apparel industry) has been expanding and evolving to the point where every niche is a profitable opportunity for our customers. The employees at UNIX combine over Seven years of experience in the embroidery industry, in every facet from selling embroidery machines to running their own embroidery businesses. We know it’s important to get as much information as you can about an industry before you buy into it. We will help guide you through the thought process and give you a foundation of knowledge if you are thinking about starting an Embroidery business or Digital Textile Printing business. Find the attached pdf file. Our customer’s success may depend on how effectively we can put our technology to work. So, we strive to enable our customers to achieve their business goals by providing the highest level of Technical Support services in India. The need to provide affordable product and service support has increased tremendously with the increase of technology dependent products. Technical support is hence emerging as a powerful tool for the customers. The Sophisticated Technology based products need consistent maintenance and hence increases the productivity. We offer several cost effective support packages to help you with your networking requirement. UNIX is the organization which is interested in influencing the growth and direction of, basic research on advanced technology in embroidery business, then we urge you to join the our participation Program and form a elegant business for a new era! A Technological Participation Our contributions can be directed to a specific of your choice of creation for the advancement of new areas of embroidery Business. A special aspect of UNIX is its focus on a multifaceted approach in advancing our Textile & Garment field. It is at the interface between disciplines where many new insights and rapid advances in technical research take place. A Network of Interaction While fostering advances in marketing research, our organization gains visibility and access to a broad range of professionals who are dedicated to goal-oriented, interdisciplinary technical & marketing research. This exposure clearly establishes our organization's prominent role in ultimate embroidery technical research. And just as our organization's role in the Corporate Participation is a powerful means of getting our research to the right people, it is also a means of gathering knowledge for our own use. Through networking and information exchange, our organization is better able to develop products and services that are tailored to the needs of the research in Textile field. Operation Principles - Advance the traditional industry, make solid national foundation. Corporation Vision - Form Corporation's solid integrated manufactures industry system by the invested corporations, products, market networks, and customers. Operation Idea - Lead by science and technology, then industry advances; Make every effort, then gain the prosperous and the first class; Operate honestly, then true love returns. Following is the attachment of our valuable client list.